Kevin Feige Reveals Marvel Studios Plans For Spider-Man! "In Spider-Man’s very specific case, where there have been two retellings of that origin in the last whatever it’s been – [thirteen] years – for us we are going to take it for granted that people know that, and the specifics. It will not be an origin story. But, with great power comes great responsibility. It is inherent to who his character is. But we want to reveal it in different ways and spend much more time focusing on this young high school kid in the MCU dealing with his powers." "There is a young kid [already] running around New York City in a homemade version of the Spider-Man costume in the MCU, you just don’t know it yet. His nervous energy, bothering the criminals with banter as much as with his powers. That’s something that I think we’re excited to explore." "I mean look, I was more involved in the Raimi ones, and think they did a very good job. But that being said, we’ve already designed the costume, which is different than any of the ones that have come before. And yet ours is classic Spidey, as I think you’ll see." “We want to play with Spider-Man in the high school years because frankly there’ve been five Spider-Man films and the amazing thing about it is, even though there’ve been five Spider-Man films, there are so many things from the comics that haven’t been done yet. Not just characters or villains or supporting characters, but sides to his character. The most obvious being the ‘young, doesn’t quite fit in’ kid before his powers, and then the fella that puts on a mask and swings around and fights bad guys and doesn’t shut up, which is something we want to play with and we’re excited about." "I think it was midway through the first film that he graduated high school. At the beginning of the second Marc Webb film, he graduated high school. And some of my favorite Spider-Man arcs and Spider-Man stories, he’s in high school for a lot of it. We want to explore that. That also makes him very, very different from any of our other characters in the MCU, which is something else we want to explore: how unique he is when now put against all these other characters." 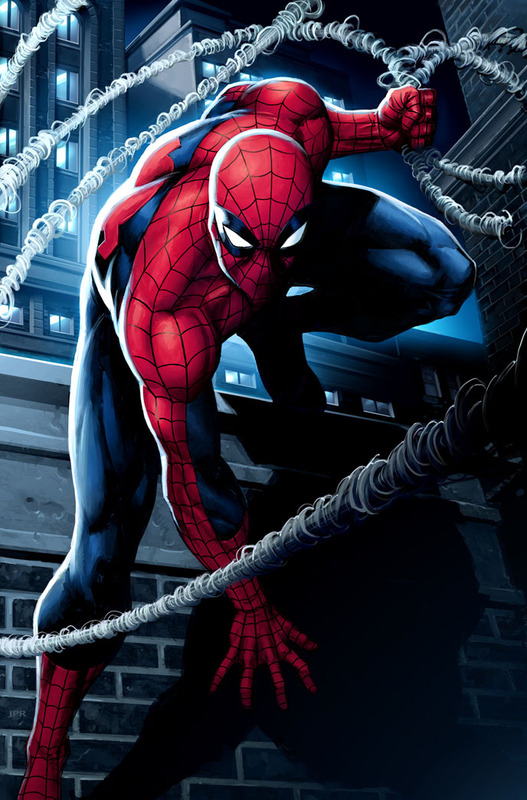 Spider-Mans creation is usually attributed to comic book legends Stan Lee and Jack Kirby, and while it may be Stan Lee that envisioned the outline, the abilities of the character, Jack Kirbys contributions extend no further than drawing the character. Jack Kirby was originally approached to flesh out Spider-Mans biography, abilities and style, but Stan Lee was unhappy with Kirby's Green Lantern-esque appraoch to the character - whereby Peter Parker was granted his powers upon finding a magical ring. It is actually Steve Ditko that should be seconded for the characters creation, having developed the character as a young masked vigilante using web shooters and sarcasm to disarm his enemies. It seems Kevin Feige is eager to return to the characters core, a socially alienated teenager with superhero abilities struggling with teenage life, his superhero responsibilities and finding a balance between the two. 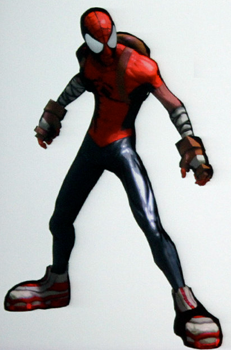 Rumors are that Spider-Man will wear a homemade costume (possibly akin to the mangaverse costume pictured above) before being given a costume from Tony Stark, possibly closer to Ditko's original design (pictured top of article), though this has yet to be confirmed. The new Spider-Man movie, expected to be directed by Drew Goddard will hit theatres July 28th, 2017, though the character is expected to debut in next years Captain America: Civil War. 1 Fan responses to Kevin Feige Reveals Marvel Studios Plans For Spider-Man! What I want to see, Is the Sarcasm spider man has Which we see very little of.